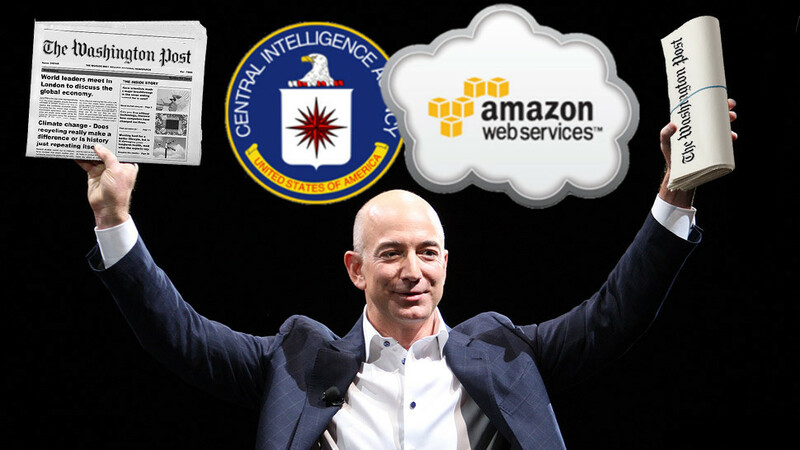 What do billionaire Jeff Bezos, Amazon, the United States Central Intelligence Agency (CIA), and The Washington Post media company have in common? Well the answer is that in some way or another, they are all financially tied together. Jeff Bezos is the founder and CEO of Amazon, with a $66 billion USD stake in the company making him the current 14th richest person in the world(1). Jeff Bezos has also recently, in 2013, bought the Washington Post for $250 million USD in cash(2). Now the CIA is brought into this web of financial interests in 2013, in which the CIA awarded Amazon a $600 million USD contract over a 10 year period to host all its data on Amazon's AWS cloud computing platform(3). This is quite the web of government and corporate interests all tied together. What are your thoughts?